The 20 in. pedestal fan's motor powers 3 aluminum fan blades to provide economical cooling and air circulation for all environments including warehouses, factories, offices, garages and more. This fan features oscillation which provides horizontal movement simultaneously to creating more ventilation across the room. Constructed with durable material to increase the level of durability and reliability, and helps to keep the fan in good operating condition for a long time. Filtrete Ultimate Allergen Reduction Filters are high performance furnace filters that are suitable for homes needing a maximum level of air filtration. Filtrete filters are electrostatically charged to attract and capture microscopic airborne particles like smoke, pet dander, household dust, smog, bacteria, particles that can carry viruses, and particles that can carry odours. Each filter lasts up to 3 months. Combining powerful performance with portable convenience, this radiant heater features a 4,000- to 18,000-BTU heating capacity and can deliver soothing warmth to spaces up to 400 square feet. Use it for gathering with friends out on the back deck, during a tailgating party or sporting event, or when working on projects at a job site. 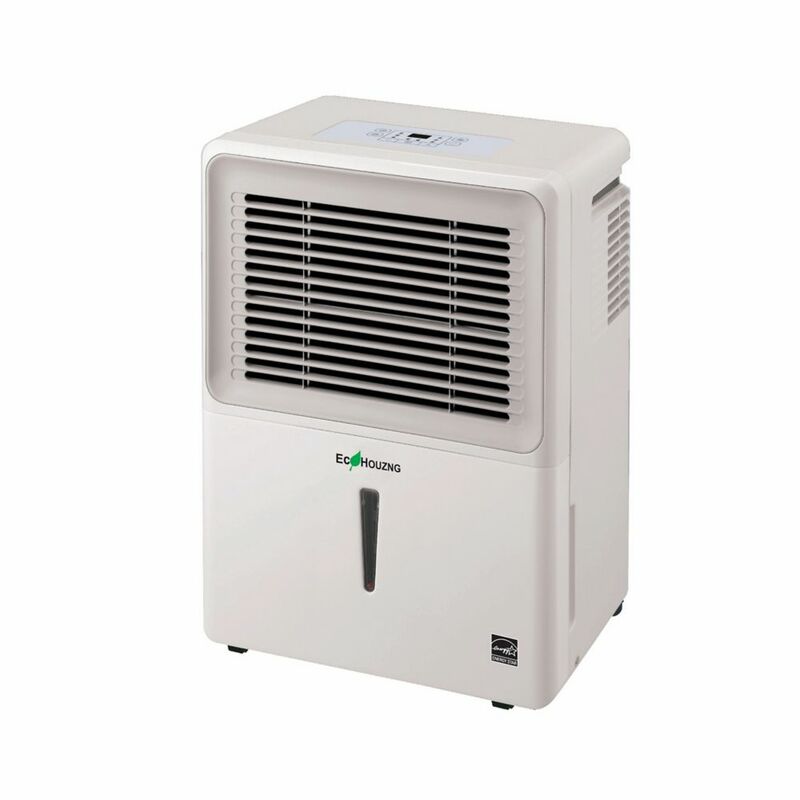 30 Pints Dehumidifier Ecohouzng ECH1030 Dehumidifier is a new line of Energy Star rated portable dehumidifier. Light weight and heavy duty casters allow their ultra portable dehumidifier to be moved and placed almost anywhere. Keeping with their tradition of making energy efficient product. In addition to portablility and energy efficiency they've added the low temperature operation to their feature packed dehumidifier line.